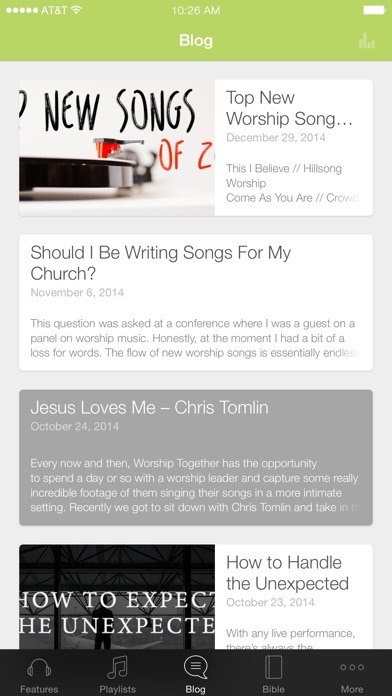 The Worship Together app is a tool for worship leaders. From new song discovery, to exclusive acoustic performances, to free transposable charts and lead sheets, we want equip worship leaders and churches with the resources they need to lead their worship teams and congregations. Search our database of thousands of songs to find lyrics, audio streams, videos, and scripture references indexed by tempo, theme, genre, tag, and writer. Sign up for free, and check in weekly for free lead sheets and MP3s to brand new songs from your favorite worship leaders! For more information visit: www.worshiptogether.com The Worship Together app was developed with the Subsplash App Platform. It seems a little outdated... still very useful but the search engine could be improved and the overall appearance of the app could be a lot better. 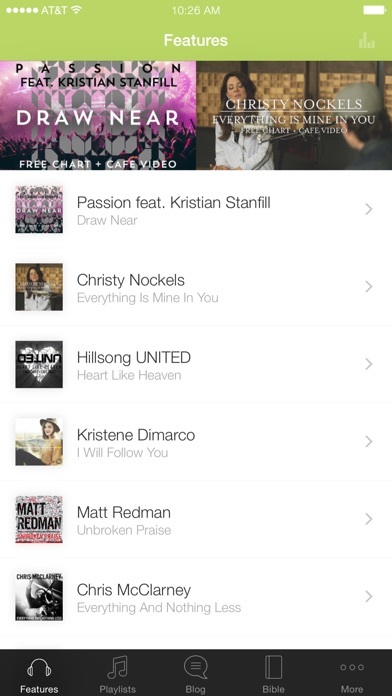 I love that this app is designated for worship music. The ability to change keys of songs is great. I will say however that the search engine as well as interface can be improved. An autoscroll function with an automatic scrolling option would be very helpful. It would also be great to add a favorites tab. All in all I think that this app can be a major help to worship leaders it just needs to be developed a bit more. Can't search! Can't do anything worth your time. So don't t.
I really enjoy this website online. However the app is very clunky. It takes a lot of navigation just to do a Search for a song. This should be on the Homepage. With some minor improvements, this could be a really good app. This app is such a blessing to those who love worship just as much as I do! Includes chords to songs , the best downloadable worship songs , a bible and a blog! So many amazing things packed in one app and very easy to use. Totally recommend it! God bless! App Is Great So delighted To Hear Gods Word Thru song And Praise About His Own Grace,Greatness,& Mercy! Amen! !